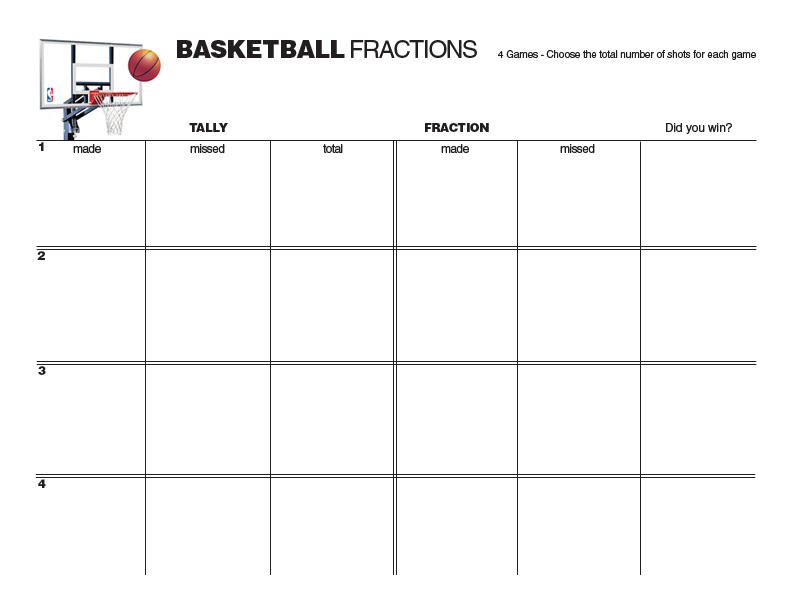 Learn about fractions while playing basketball! 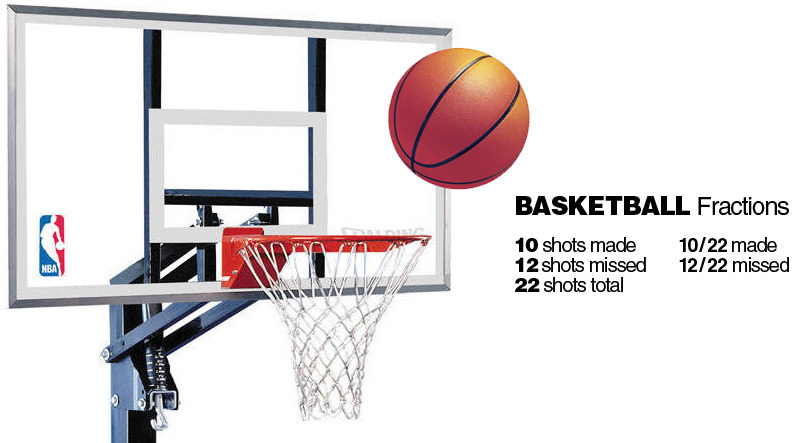 Write a fraction for how many times you made and missed a shot. You can write fractions for both halves of your game. Then, figure out the total. You can also write fractions for free throws and 2 and 3 pointers. Check out learn-with-math game's basketball fractions to see their three round version.